Paint saver trays are a unique tool for the little artist. Using our Easy Grip Brushes (CE6675), the child can experiment with one or many paints. 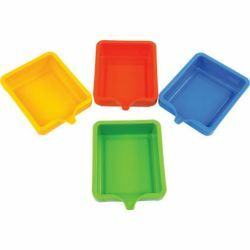 This set of 4 trays are quick to clean with soap and water, easy storage and no waste.